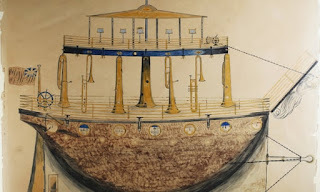 The always brilliant Nag on the Lake introduces us to the “genius of Earlswood Asylum,” James Henry Pullen, through an inaugural exhibition that explores the life and imaginative work of an autistic savant confined for nearly seven decades. 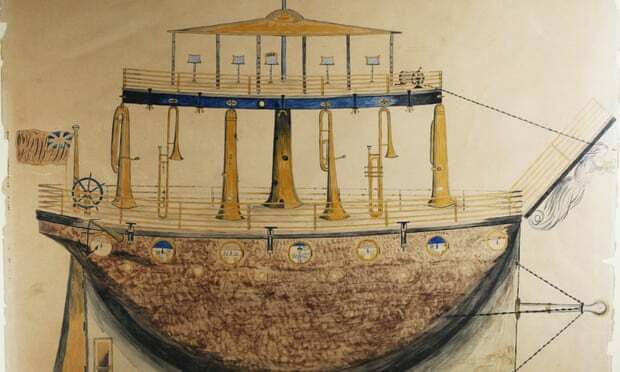 As was the standard practise for the patients to learn handicrafts (see some other examples of Outsider Art to come out of institutions here and here) to support themselves and the asylum, Pullen demonstrated master level skill in carpentry and technical drawing, making elaborate scale models of ships as well as furniture for the wards. The asylum superintendent, Doctor John Langdon Haydon Down—best remembered for his description of the genetic condition that bears his name and also first employed the term savant—treated Pullen rather humanely, allowing him to dine with the staff rather than the general population and encouraged Pullen in his projects, which eventually garnered the attention of Queen Victoria and the royal family.